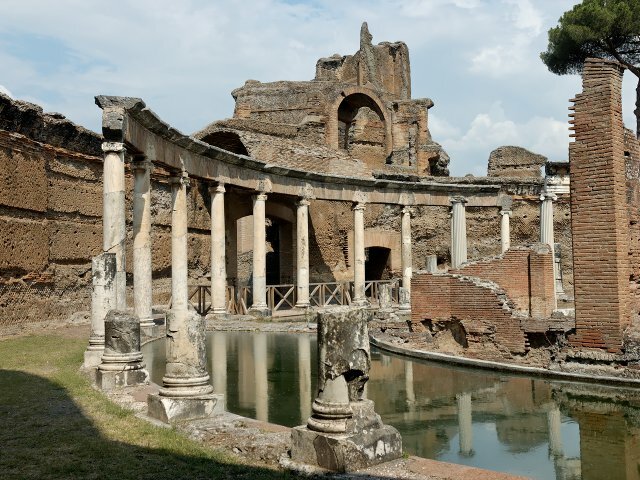 The Villa Adriana (at Tivoli, near Rome) is an exceptional complex of classical buildings created in the 2nd century A.D. by the Roman emperor Hadrian. It combines the best elements of the architectural heritage of Egypt, Greece and Rome in the form of an ‘ideal city’. Villa Adriana is a masterpiece that uniquely brings together the highest expressions of the material cultures of the ancient Mediterranean world. The villa covers more than 120 ha on the slopes of the Tiburtine Hills. It was originally occupied by a late Republican villa. The imperial residence was built over it in AD 118-38. It was a symbol of a power that was gradually becoming absolute and which distanced itself from the capital. After Hadrian’s death in 138, his successors preferred Rome as their permanent residence, but the villa continued to be enlarged and further embellished. When Cardinal Ippolito II d’Este began to construct his nearby Villa d’Este he continued the excavations, supervised by his architect Pirro Ligorio, to obtain works of art to adorn it. 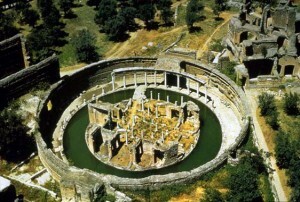 The main buildings are the Pecile, the Stadium, the Small and Large Thermae, the Canopus, the Serapeum and the Cento Camerelle. The Pecile (or Poikile) is a reproduction of an imposing structure in Athens famous for its paintings and its associations with the Stoic philosophers which consists of a large rectangular enclosure. The Canopus is an elongated canal imitating the famous sanctuary of Serapis near Alexandria. 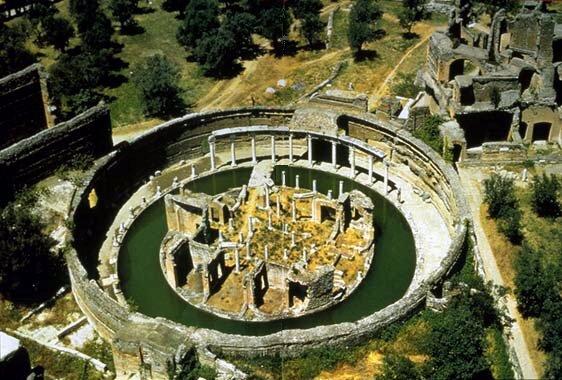 In addition to these structures, there is a complex of underground elements, including cryptoportici and underground galleries, used for internal communications and storage. A number of the ancient structures are overlaid by a series of farmhouses and other buildings, mostly from the 18th century.